3rd Person Collaboration was an exhibition produced with artist Carolyn Eskdale. The project investigated collaboration as a practice between artists and the construction of a viewing subject through memory of place. Work installed across two sites used a notion of ‘oscillation’ between sites and media. The role of the viewer as a mediating subject echoed ideas of collaboration producing a ‘3rd person’ persona as author. RMIT University Project Space and school of Art gallery, Melbourne. 2006. 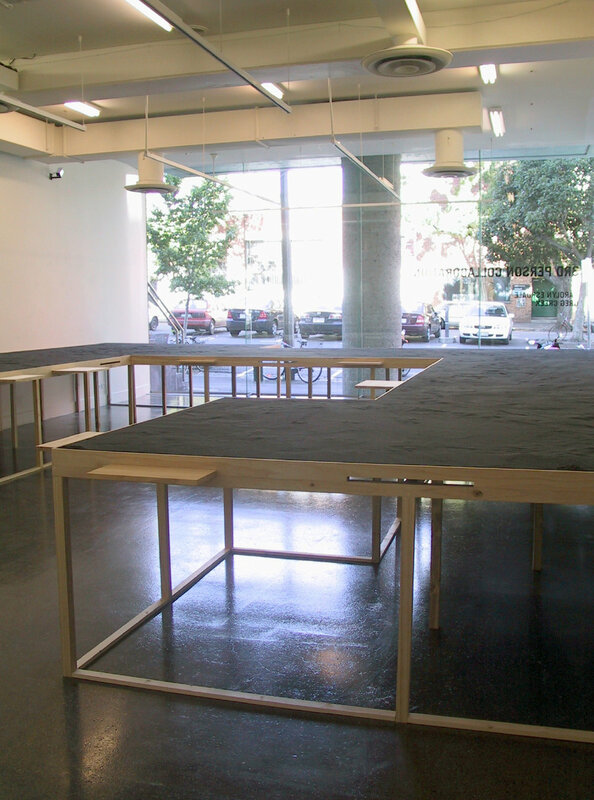 RMIT Project Space; pine construction, dyed sand. 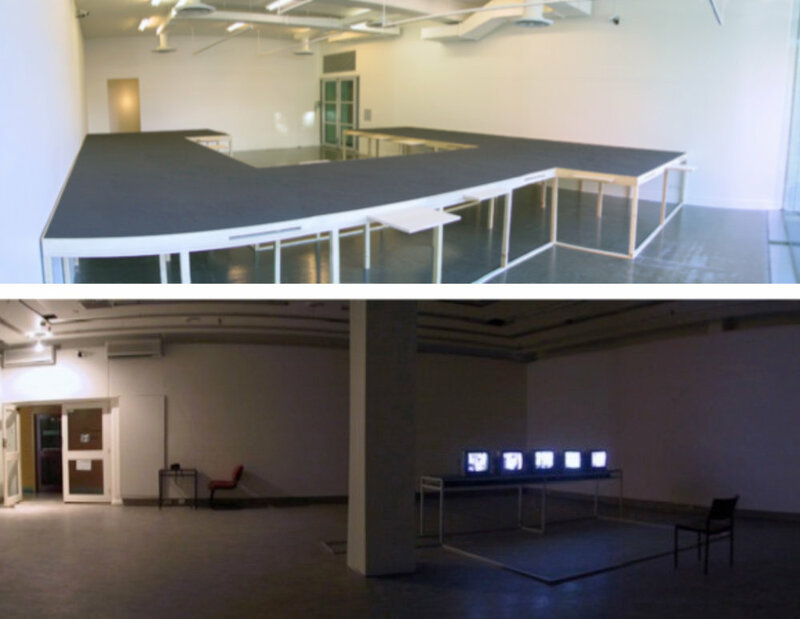 RMIT School of Art Gallery; video transfer to DVD, 5 monitors, sound, aluminium frame, DVD players.